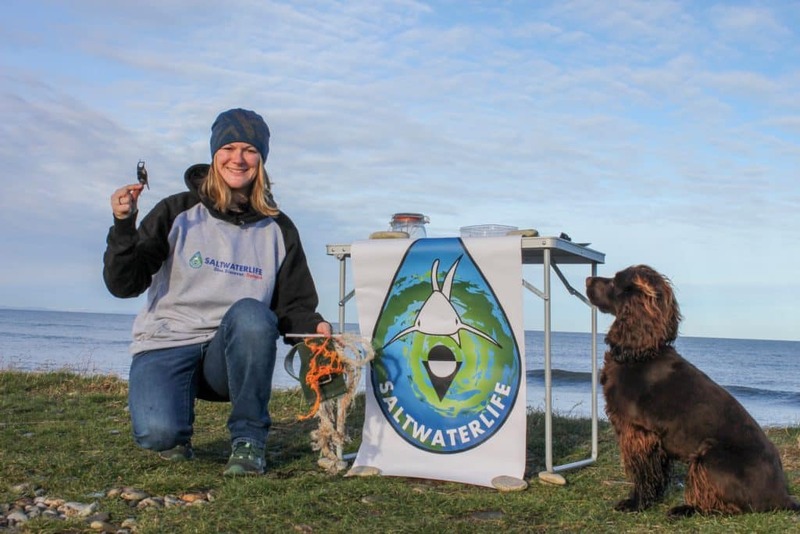 A colourful Saltwater Life banner and matching fleece helped Dr Lauren Smith attract visitors to her pop-up outreach session at Portgordon on the Scottish coast. Lauren was taking advantage of the nice weather to collect shark and skate egg cases for her research and raise awareness about marine litter. Tattie the dog looks seriously impressed! 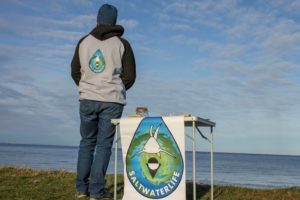 Learn more about Lauren’s fascinating work at http://saltwaterlife.co.uk/.